Armel L. Leduc 83, of Dayville, CT formerly of Woonsocket, died November 26, 2018 at Matulaitis Nursing Home. He was the longtime love and companion of the late Jeannette (Beauchemin) Champagne. Born in Woonsocket, he was a son of the late Paul and Albertine (Barrette) Leduc. Armel was a US Army Veteran of the Vietnam War. He was a machine operator for The Foundry for over twenty years. After his retirement he worked part time as a custodian. 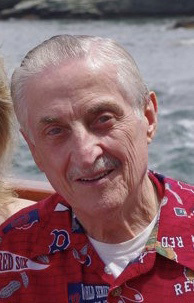 He enjoyed bowling, watching the birds and squirrels and was an avid Red Sox fan. Armel is survived by a daughter Renee Champagne and her wife Christina Coulombe of Dayville, CT, step-daughters Luanne Romero, Kate Fontaine, Donna Champagne, and Leona Fontaine all of Woonsocket, and Elaine Leduc of PA, step-sons Alan Champagne and his wife Judy and Albert Champagne all of Blackstone, a brother Robert Leduc of PA, three sisters Lucille Tardie of Burrillville, Muriel Bouthilette of Lincoln and Connie Seider of Woonsocket, and many grandchildren and great-grandchildren. Visiting hours will be held Monday from 4-7 PM at the Fournier & Fournier Funeral Home, 463 South Main St. Woonsocket. A Mass of Christian Burial will be held Tuesday at 10:00 AM in Holy Family Church, 414 South Main St. Woonsocket. Burial with Military Honors will follow in St. Charles Cemetery, Farm St., Blackstone.